Thank you to the students at the University of Houston who developed and shared a Grasshoper plug-in for Rhino which estimates the topography of Phnom Penh. The GHX begins with an image – in this case a color topographic map by Aruna Technology and Blum and posted originally here. Download the Rhino model, GHX file and more information here. 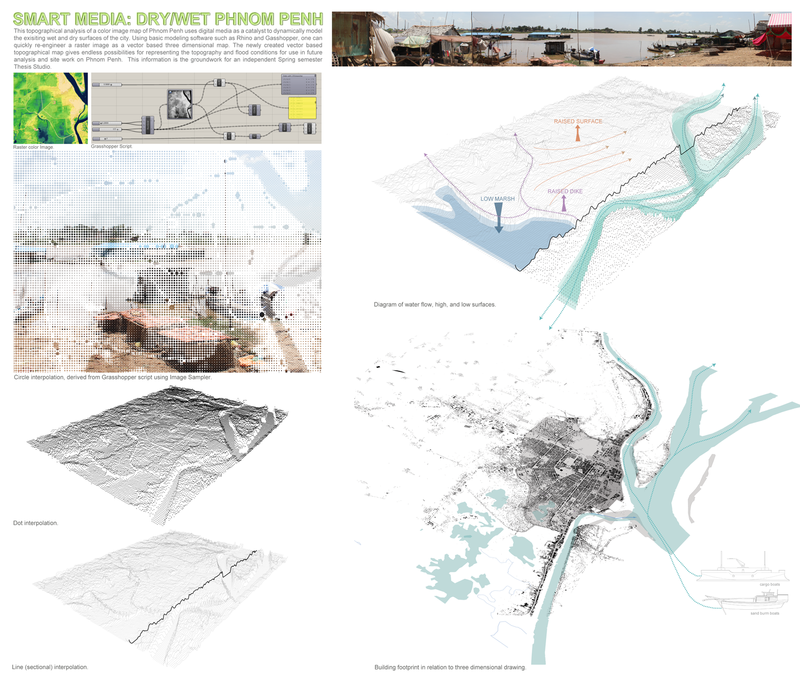 Reblogged this on Phnom Penh Urban Studio UH.